* Check out this 2019 INFINITI QX30 LUXE AWD * * 2019 ** INFINITI * * QX30 * This GRAPH SHADOW 2019 INFINITI QX30 LUXE AWD might be just the crossover awd for you. For a good-looking vehicle from the inside out, this car features a beautiful graph shadow exterior along with a graph lth-appointed interior. Good cars sell fast! Give us a call and schedule an appointment today! * Check out this 2019 INFINITI QX30 LUXURY AWD * * 2019 ** INFINITI * * QX30 * This BLK OBSIDIAN 2019 INFINITI QX30 LUXURY AWD might be just the crossover awd for you. It has a gorgeous blk obsidian exterior and a graph lth-appointed interior. Interested? Call today to take this vehicle for a spin! * Check out this 2019 INFINITI QX30 LUXE AWD * * 2019 ** INFINITI * * QX30 * This BLK OBSIDIAN 2019 INFINITI QX30 LUXE AWD might be just the crossover awd for you. It has a charming blk obsidian exterior and a graph lth-appointed interior. Call today to test it out! * Check out this 2019 INFINITI QX30 LUXE AWD * * 2019 ** INFINITI * * QX30 * This MAJESTIC WHT 2019 INFINITI QX30 LUXE AWD might be just the crossover awd for you. It has a dazzling majestic wht exterior and a graph lth-appointed interior. Interested? Don't let it slip away! Call today for a test drive. * Check out this 2019 INFINITI QX30 LUXE AWD * * 2019 ** INFINITI * * QX30 * This MAJESTIC WHT 2019 INFINITI QX30 LUXE AWD might be just the crossover awd for you. For a good-looking vehicle from the inside out, this car features a beautiful majestic wht exterior along with a graph lth-appointed interior. Don't sit on this decision for long...schedule your test drive today! * Check out this 2019 INFINITI QX30 LUXE AWD * * 2019 ** INFINITI * * QX30 * This MAJESTIC WHT 2019 INFINITI QX30 LUXE AWD might be just the crossover awd for you. For a good-looking vehicle from the inside out, this car features a classic majestic wht exterior along with a graph lth-appointed interior. Don't wait on this one. Schedule a test drive today! * Check out this 2019 INFINITI QX30 LUXE AWD * * 2019 ** INFINITI * * QX30 * This MAGNETIC RED 2019 INFINITI QX30 LUXE AWD might be just the crossover awd for you. A stunning magnetic red exterior and a wheat lth-appointed interior are just what you need in your next ride. Call today to schedule your test drive! * Check out this 2019 INFINITI QX30 LUXE AWD * * 2019 ** INFINITI * * QX30 * This GRAPH SHADOW 2019 INFINITI QX30 LUXE AWD might be just the crossover awd for you. A timeless graph shadow exterior and a graph lth-appointed interior are just what you need in your next ride. Don't wait until it is too late! Call today to schedule an appointment. * Check out this 2019 INFINITI QX30 LUXE AWD * * 2019 ** INFINITI * * QX30 * This BLK OBSIDIAN 2019 INFINITI QX30 LUXE AWD might be just the crossover awd for you. It has a classic blk obsidian exterior and a graph lth-appointed interior. Don't sit on this decision for long...schedule your test drive today! * Check out this 2019 INFINITI QX30 LUXE AWD * * 2019 ** INFINITI * * QX30 * This MAJESTIC WHT 2019 INFINITI QX30 LUXE AWD might be just the crossover awd for you. It has a suave majestic wht exterior and a graph lth-appointed interior. This is the vehicle for you! Give us a call today and don't let it slip away! 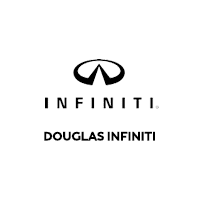 * This 2019 INFINITI QX30 ESSENTIAL AW comes with Bose speakers for the best sound experience around * * 2019 ** INFINITI * * QX30 * It has a stunning blk obsidian exterior and a graph lth-appointed interior. Don't regret waiting on this one! Call today to schedule your test drive. * This 2019 INFINITI QX30 ESSENTIAL AW comes with Bose speakers for the best sound experience around * * 2019 ** INFINITI * * QX30 * The interior is a dazzling wheat lth-appointed. Come see us today and see this one in person!